Multiple studies have indicated that Millennials are more brand loyal than any other age group. By contrast, Generation Z are widely perceived to lack brand loyalty. CrowdTwist surveyed what brand loyalty means to each group to gain deeper insight into what makes each generation spend and engage with a brand. First, most crucially: invest in a loyalty program. Beauty, media, retail and grocery stores are at high risk of losing business to competitors that do. Our research indicates that Generation Z is 50% more likely than Millennials to be loyal to a brand if they have a loyalty program. Generation Z are active on all channels, digital, social and in-store. They expect to be able to check the availability of in-store items online and vice versa. Growing up in the information age, they are more likely to research a product before purchasing. This means visiting your brand website, interacting on your social media channels, engaging on mobile and shopping at your store locations. Invest in a loyalty program that incentivizes interaction across all of these channels. Like Generation Z, Millennials shop and engage with brands in-store as well as online. Ensure your loyalty program is multichannel and seamlessly integrated across digital and physical properties so that customers can enjoy the same experience online and offline. Brands can create value by rewarding for both spend and engagement, and making this experience as simple as possible. Simplify your rewards-for-spend strategy so that earning points for spend becomes frictionless across all channels. Millennials, for example, love the fact that they can order and pay for their coffee using the Starbucks app. 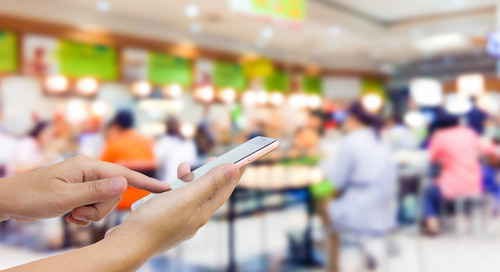 Consider integrating mobile payment and other commerce tactics like receipt scanning to ensure you’re making it convenient for members to purchase and be rewarded for each purchase. Integrate engagement activities that are appealing to both Millennials and Generation Z, like games and surveys. Generation Z want much more from a loyalty program than Millennials. They want to save money, get additional perks and earn rewards. They look for member-only discounts and coupons and perks like free shipping and free samples. Offer instant rewards to demonstrate value to both consumers groups and keep engagement high and consider enabling automatic rewards to apply discounts in real-time. Brands should consistently gather data about their consumers across all channels and use tactics like machine learning and predictive analytics to predict future behaviors, identify customer needs and wants and create better marketing experiences. Fortunately, as our survey results attest, 75% of Millennials and Generation Z are willing to volunteer their personal information in exchange for these customized experiences. Encourage this willing audience to participate in surveys, complete profile updates and connect with your brand socially. You can also use this data to celebrate member milestones and special occasions such as birthdays and Mother’s Day by rewarding members with a gift, such as bonus points, a sizeable discount, or free samples. These tactics drive brand engagement and loyalty. When it comes to building out your loyalty program and strategy keep it simple. Both Generation Z and Millennials said they leave a program if the rewards aren’t compelling enough or if it takes too long to earn points. Our survey uncovered some interesting results, here are some of the highlights!